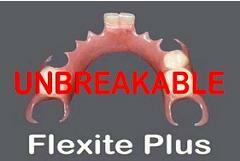 If you have had extractions and need removable partials (partial dentures, flexible plate), Dr Clark has recommended Flexite partials in the past, which are safe from plastic seepage/leaching (see their leaching results here…). 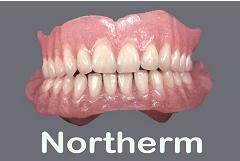 In her recent books she also notes that generally plastics no longer pose a problem in terms of seeping, as dentures can now be hardened using a hot water technique and thereafter using a zappicator (food zapper) which further hardens it electronically. However, Flexite is such a superior substance it is still recommended. The Clifford Consulting and Research lab is an independent testing lab in Colorado Springs, USA that tests hundreds of allergy prone patients. They gave Flexite a 99% percentile rating for patient safety and bio-compatibility. Here is the Flexite brochure. Your dentist must take a good accurate impression and send it to one of the several high quality labs (see USA labs below) that can do an excellent job fabricating a Flexite partial. 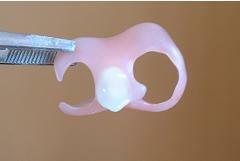 The quality of your Flexite partial would be best if it is processed by one of the preferred Flexite laboratories that is experienced with Flexite in the USA (see below). When last checked, the approximate cost of making a full Flexite partial is between US$350 – $450 (without shipping). In order to process Flexite, a dental lab needs to own a thermo injection machine. Flexite sells Flexite cartridges to fit most thermo injection machines. The plastic has to be heated in an oven before it can be injected into a flask. For labs interested in working with Flexite, these Companies manufacture thermo injection machines: Inductor KFT from Hungary, Valplast from USA, Dental D from Italy, TCS from China, Flexite from USA, Multiflex from USA, Polypress from Europe, Flexiplast from Europe. If you can find a lab that has thermo injection equipment then the Flexite Company can supply the plastic. 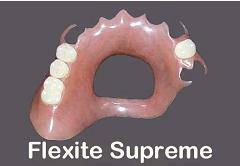 Atten: George Cubur: George uses the Flexite Plus non breakable plastic. 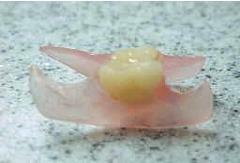 Valplast (see Kellerlab) is also recommended by some biological dentists and is a suitable option. Just make sure your dentist has a working knowledge of these materials.